Military satellite communications (SATCOM) provider iDirect Government (iDirectGov) is set to unveil its tactical removable airborne satellite communications (TRASC) for C-130 military transport aircraft at the 2018 Special Operations Forces Industry Conference. TRASC integrates commercial off-the-shelf (COTS) components into an airborne terminal to provide troops with advanced and modern SATCOM technology. The components are integrated, tested and airworthy-certified. The iDirectGov solution features multi-band 18in parabolic Ku / Ka dual-band antenna provided by UltiSat. The antenna features a lightweight robust carbon fibre composite frame and high data rates. TRASC also includes SelectTech’s roll-on roll-off transit case integrated with the iDirectGov 9800 AR Satellite Router, power supply and gateway router, and R4’s C-130 hatch or wing shoulder panel. The R4 solution is based on a US Air Force and Federal Aviation Administration (FAA)-approved design for a multi-purpose hatch system. iDirectGov president John Ratigan said: “iDirectGov is excited to partner with leading companies on TRASC, which provides the airforce with a product that meets all the specified communications requirements for the military’s airborne needs, including TRANSEC and military operating standards. “When the military needs communications technology to perform a particular mission, it becomes a costly and time-consuming endeavour to start from scratch and build a solution. The parabolic antenna is said to be the only dual-band antenna that enables TRASC to support both military and commercial Ka frequencies. 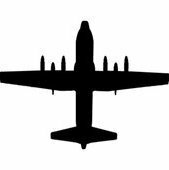 To support voice and data for C-130 airborne applications, TRASC works with a number of Ka, Ku, X-band or a combination of these. Being a fully FAA-compliant solution, TRASC is compatible with all variants of the C-130 military aircraft and can work with existing iDirectGov hub-based SATCOM networks.